Sicilian desserts are more than something to taste. They can be soft or crunchy, intense or delicate, rich or tiny, in any way they have a fascinating story meant to be told. Capturing all senses they reveal the ancient tradition of different cultures based on simple but wise gestures. During the Christmas holidays, families gather around sumptuous tables with many delights. Christmas sweets in Sicily are of many kinds, a thousand temptations to which it is really very difficult to resist. 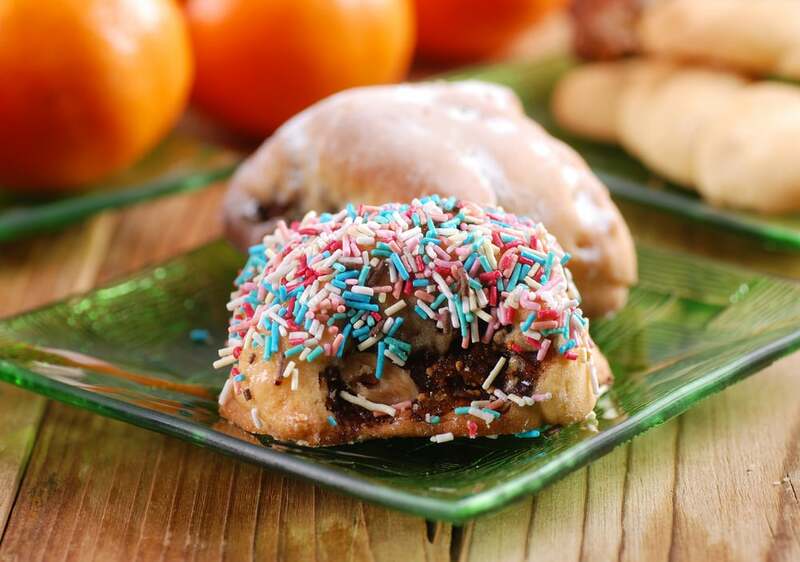 Among the best and maybe the less known desserts there is Buccellato, an exquisite stuffed biscuit that enriches the windows of pastry shops but which the grandmothers often prepare at home, handing down the recipes for Christmas sweets to new generations. Buccellato can have very different shapes but the great taste is always the same. The shortcrust pastry is stuffed with a mix of dried figs, raisins, almonds, walnuts, candied orange peels and chocolate chips. After being baked it can be garnished with chopped pistachio or simple icing sugar or with icing and colored sugars. Sweet christmas to you all!